Odds makers have updated their NBA Championship odds with the futures price of the Chicago Bulls going up and down like a roller coaster. Chicago has seen its odds go up and down the last few weeks due to injuries. The Bulls odds went up to 20 to 1 from 8 to 1 last week following the news of guard Derrick Rose injuring his meniscus. When it appeared that Rose would likely return to play this season, odds makers moved the Bulls down to 10 to 1, according to Bovada and topbet. 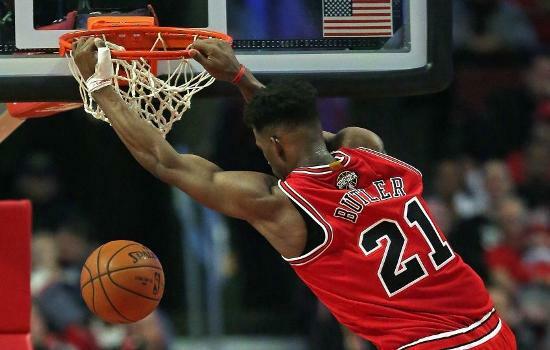 Then Bulls guard Jimmy Butler sprained his elbow and could be out up to 6 weeks. As of Tuesday, when the new odds were released, the Bulls were back up to 14 to 1 o win the NBA Championship. According to betonline and sportsbook.com, the Oklahoma City Thunder has also been hit by injuries and that that has impacted their odds for the championship as well. Last week, the Thunder was one of the top 3 to win at 9 to 2 after a 7-game winning streak. However, on the new list, the Thunder had dropped slightly to 6 to 1. 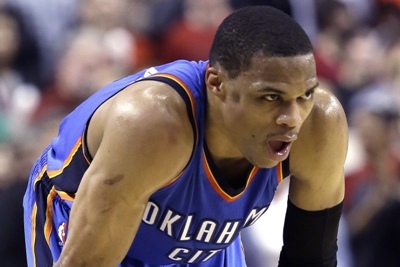 Russell Westbrook had minor surgery on his cheek and missed Sunday’s game, but is expected back for Wednesday’s game. Kevin Durant however will be out for another 3 to 4 weeks. Nevertheless, the team is in the eighth and final playoff spot in the Western Conference. San Antonio is now one of just five teams listed on the futures board with odds in the single digits to win the NBA title, as the Spurs were adjusted to 8 to 1 from 10 to 1 the week before. Memphis might just be the best bargain in the NBA at this time. The Grizzlies have the NBA’s third best overall record yet is only sixth in the betting with odds of 12 to 1.